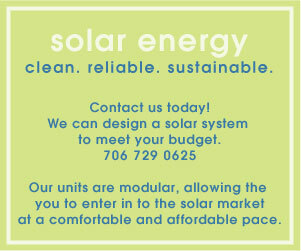 Fleming Construction » Blog Archive » Why Solar? This country generates 71%1 of its electricity using fossil fuels, and in the course of doing so, emits 10.3 million tons of sulfur dioxide2, 3.9 million tons of nitrogen oxides, 2.4 billion tons of carbon dioxide , and over 50 tons of mercury a year. These emissions are toxic to human health and constitute a serious public health problem. In addition to the serious human health effects, emissions from fossil fuel electricity generation are the single largest contributor to global warming, responsible for 36% of the country’s emissions of carbon dioxide. Global warming is the most significant environmental threat facing the world today, with predicted effects ranging from a dramatic rise in sea levels, inundating many heavily-populated parts of the world; habitat changes that could wipe out entire ecosystems; and increasingly severe weather patterns that are anticipated to cost billions. Contact Fleming Construction at 706-729-0625.